Córdoba Guitars & "Toy Story 3"
World famous flamenco-pop group the Gipsy Kings recently recorded a fiery flamenco version of Randy Newman’s famous “You’ve Got a Friend in Me” for this summer’s upcoming animated blockbuster “Toy Story 3” using their signature Córdoba guitar models. 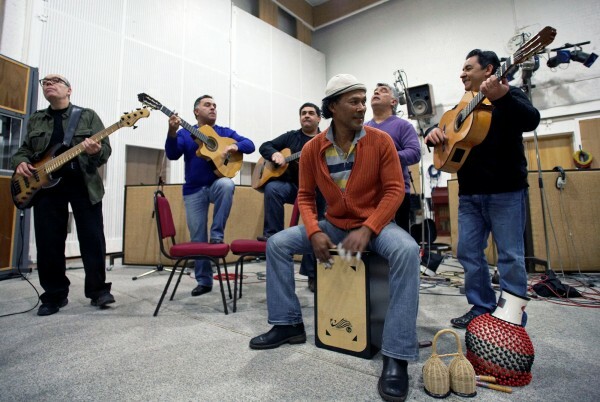 Recorded in London at the storied Abbey Road Studios, the Gipsy Kings’ take on “You’ve Got a Friend in Me (Para Buzz Español)” will be featured in the film and on the official soundtrack. Over the past decade, Córdoba and the Gipsy Kings have worked closely to develop the group’s signature guitars: the thinbody cutaway 55FCE and the fullbody cutaway FCWE. The new Córdoba GK Studio model is based on the original FCWE. On May 11, 2010, the Gipsy Kings appeared on the hit TV series “Dancing with the Stars” to perform the new song, playing signature Córdoba guitars during the live show. Watch the video. Due for release this June, “Toy Story 3” is an animated 3D adventure, featuring Buzz Lightyear, Woody and the rest of the central characters from earlier films in the franchise. The “Toy Story 3” soundtrack will be available digitally from Walt Disney Records on June 15.